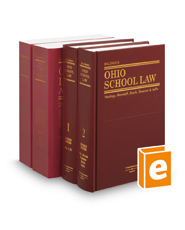 This reference work, also known as "The Red Book," is a source of information and advice for school teachers, their representatives, and other professionals in the legal areas of education administration. Topics range from organization and government of the school system to school property and school finance. More than 300 pages of model forms streamline document preparation. Research aids help you locate information quickly.